I mean most of those guys are our "new vets" with B-Rob and Newman gone. But nobody from the defensive backfield?? How is Harry not a captain. Is this Zim's way of keeping Barr on his good side given he hasnt gotten an extension. Because Harry deserves to be a captain WAY more than Barr does IMO. He's been the #1 safety in the league for a long time, is a pro's pro, great off the field, leader of the defense if you ask me. I guess I just dont understand that one. Harry got snubbed there. How do we know Zimmer chose the captains? Or did the players vote? It was a surprise to me too but you never know what it's like in the locker room. If it was the players that chose I wonder if it's kind of a nudge towards the front office showing how vital they think he is. Trae Waynes walked through the locker room without any support on the right knee he injured in yesterday’s game. Waynes (knee) is expected to practice this week, according to Zimmer. Another good sign after he was unable to return to the game vs. the 49ers. It looks like Aviante Collins is done for the season. Witzmann started 13 games at left guard for Kansas City in 2017, and played in 11 games in 2016. He helped Chiefs running back Kareem Hunt lead the league in rushing with 1,327 yards this past season. Witzmann spent the offseason and training camp with the Chiefs before being released earlier this month. Witzmann played at South Dakota State, where the offensive lineman started every game in his four-year career. He set a school record with 49 consecutive starts and was twice-named an FCS All-American. Witzmann was a four-time member of the Missouri Valley Football Conference Honor Roll and recipient of the MVFC Commissioner’s Academic Excellence Award. Witzmann joins the roster as the Vikings are preparing to face the Packers. The 28-year-old was an All-State offensive lineman at Somerset High School (Wisconsin) and received Honorable Mention All-State honors for a defensive lineman as a senior in 2008. Witzmann is now on his fifth team in the NFL. He spent time with Houston, New Orleans Dallas and Kansas City before joining the Vikings. Hopefully he fills a void for us. Not sure if he will be active Sunday or not with us being thin on the OL. Any word on if Elflien is practicing? We should know something tomorrow. Harrison Smith named NFC Defensive Player of the Week. Zimmer said Elflein had a good week of practice last week. He says he'll see how today/this week goes before deciding whether he plays vs. GB. Dalvin Cook said his uncle, FIU RB Anthony Jones who was the victim of a drive-by shooting in Fla. last week, woke up from medically-induced coma yesterday. They talked on the phone. 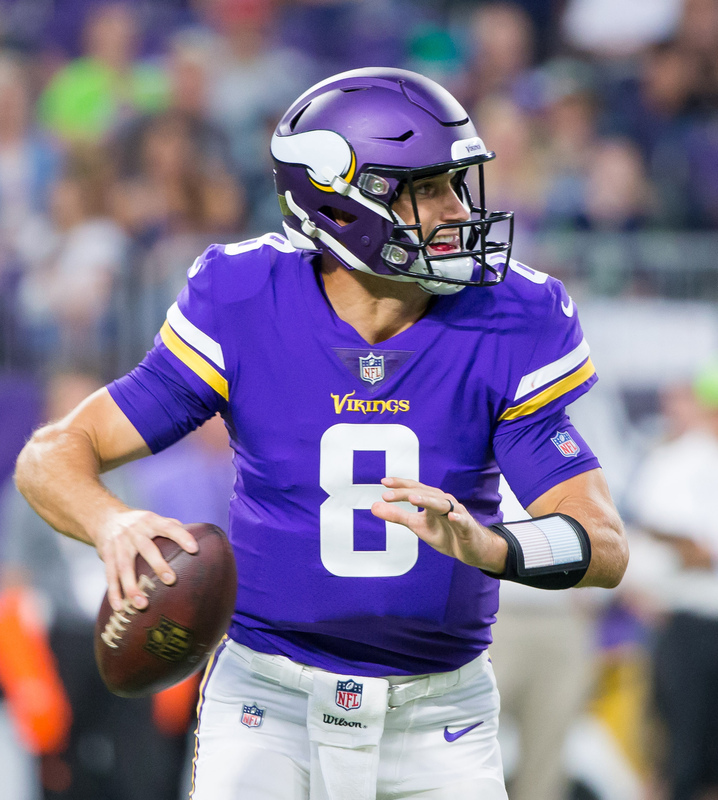 Cook was going to visit on Vikings' off day, but Jones told him to prepare and win one for him. Seattle cut Tom Johnson after 1 game.